In the endless competition between the manifold tools of advertising, billboards can still pack a punch! And we’re merely talking about static billboards here, just imagine what more the digital signage versions of it can do. You may doubt or find it at least peculiar. But indeed, billboard advertising is still quite effective even in our internet-driven face-in-display age. Let us dig out why that is. Although digital signage billboards are clearly superior to their traditional versions, their power lies in far more than just technology. 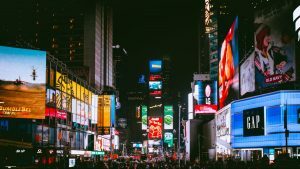 We’ll take a look at why billboards of all kinds matter, their impact on the world of today, and also what the future holds including the future of digital signage billboards. First, we take a look at why these massive physical boards matter in a world where people avoid looking up from their smartphones and live increasingly more in an almost entirely virtual reality. For a start, the physical world has no skipping or ad-blocking. Even static images on billboards have the power to catch someone's attention. For digital billboards it’s child’s play. This power is even evident in the investments of major companies. After all, last year Netflix decided to invest $150 million on the Sunset Strip in Los Angeles. And Netflix isn’t the only company investing in billboards. It makes sense to them, given the response from the audience. But we still haven’t gotten to the why. Smartphones, laptops and tablets make us think we are spending most of our waking hours facing a screen, careless of our surroundings. This is not entirely the case, as these devices grant us more mobility. You don't have to be in your office any more to check your emails, do you? This is why outdoor ads are now more effective, billboards especially. The latest technology gives us more mobility, and the more mobile we are, the more time we spend outdoors. Well, most of us. This age-old method of advertising is adapting to the 21st century just as fiercely as your next Android or iPhone. The fact that digital signage billboards exist is only one piece of evidence. Another you may have seen in one of our articles from 2018, where we discussed Google’s possible journey into the Out of Home Industry. One of the speculations observed about Google’s entry into the OOH world was that it may be possible to show billboard ads specific to the audience in front of them in real-time. If that does become a reality, it means billboards will act in a similar way online ads do. They’ll be tailored on the spot to the audience nearby, and that will certainly elevate billboards higher in the outdoor advertising food chain. Another sign of this adaptation can be seen in a campaign run by Travel Michigan. It features new billboards which show weather and snow conditions to travelers. The interesting bit about this campaign is that these are interactive weather-triggered billboards. Cases like these show that billboards too are adaptable and quickly accepted by the audience viewing them. And as they grow more common, so will new advancements pushing them forward. One man's loss is another man's gain, and here is an excellent example of that saying! It’s 2019, and it seems everyone these days has a car or regularly rides in one. And naturally, that many cars lead to increased traffic, and traffic jams. While this certainly is a frustrating aspect of the driver reality, it's an excellent opportunity for advertisers! 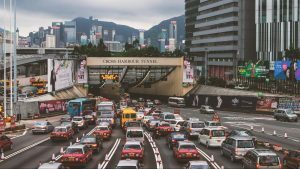 Traffic jams mark captive audiences to advertisers. Any outdoor ad welcomes attention of this kind, but none make use of it like billboards do. Given their size and visibility, a traffic jam will ensure that pretty much every driver stuck in it will see it. Lamar has 175,000 billboards in the US. Through the use of anonymous data from mobile devices, they established how much time drivers spent paying attention to billboards. They also learned what the demographics of drivers in certain areas are, and even where they live, travel and shop. This data is particularly valuable for advertisers, ensuring they can bring the right content to the right place. Billboards overall do well not only because of their size and reach. Their content is thought out carefully and it has a clear message. The reach of a billboard is enough to make you think quite a bit about what you’d like to show on it. Unlike creating content for a storefront display, for a billboard you’d ensure the content was memorable. You’d put more effort into it to make it stand out! Add to that the fact that social media users love sharing content that stands out to them, and the last piece clicks into place. Although, bluntly speaking, people post images of billboards on social media because they usually bring in more likes, shares and followers. What does that say about the typical social media user? Well, we’ll leave that to you to decide. 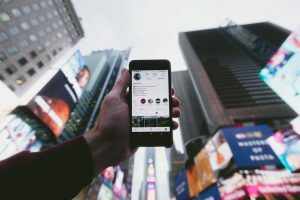 In the meantime you can read more about how much people love Instagramming billboards and other news from the digital signage world in our latest set of digital signage news. With that we can conclude that billboards, though veterans of advertising, still have a few aces up their sleeves! 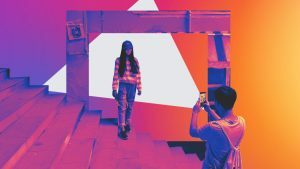 The world embraces them and as that old dog learns new tricks by way of adaptations like digital signage, we will certainly see more of them in the future.